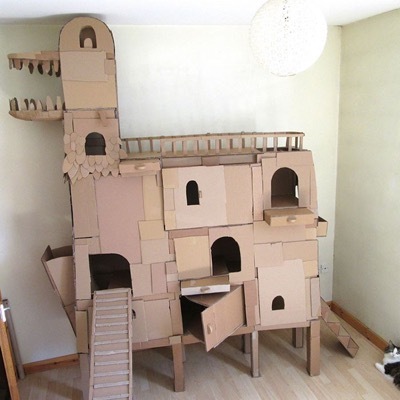 “I love making things, especially out of cardboard. 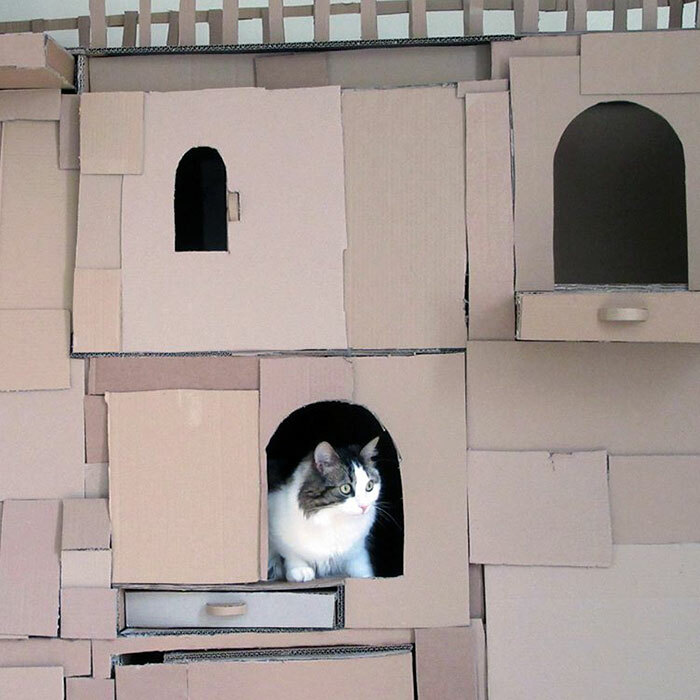 My cat also loves cardboard and I love my cat,” writes Sam on his website. 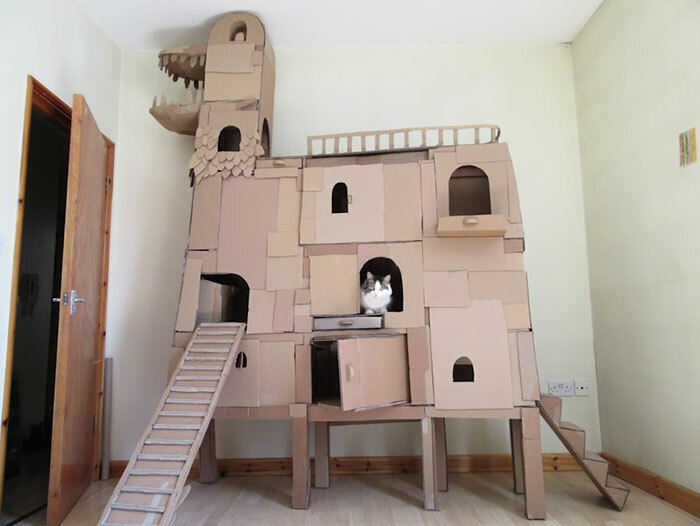 So one day, Sam decided to take cardboard cat houses to the next level. 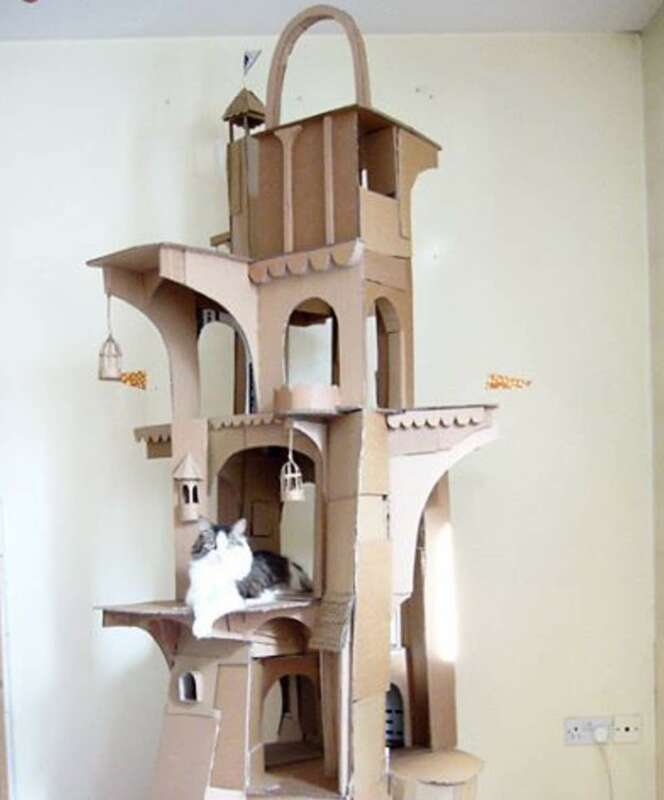 Inspired by his beloved kitty Denni, and of course his love of cardboard, he set to work and created this incredible structure. Sam’s other passions include DIY cat toys and homemade feline food, so if you’re a cat’s person, Sam is definitely someone to keep an eye on. 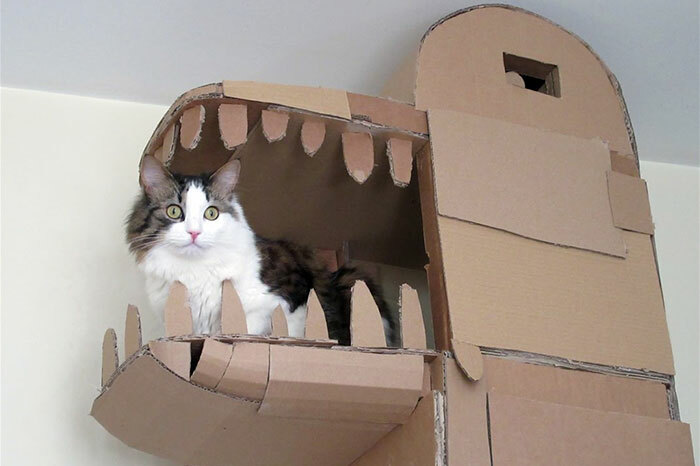 This totally makes Denni “King of his Castle”…or should we say king of his dragon! And here’s another amazing structure Sam designed and built for Denni.